This is my ultimate weekend treat – I absolutely love taking a tray up to bed and enjoying a light breakfast whilst watching a sitcom on Netflix. Even in summer, nothing beats a steaming cup of coffee in the morning, with a pastry or a bowl of fresh fruit. Definitely something I’ll be doing a lot this season, especially when the mornings are beautifully bright! I know that breakfast in bed sometimes gets a bad reputation for being a bit slobbish, but I think it’s a wonderful treat to look forward to at the weekend. I find it really wakes me up and puts me in a really good mood. These happen on rare occasions, but I love it when they do! I remember when a friend and I watched all of the Harry Potter movies back to back across a long weekend. It was both exhausting and brilliant at the same time, especially as we watched them all on her high-def television. I’ve been wanting one of my own ever since, and the Panasonic 4K TV* is definitely near the top of my list for when I move into my new home this summer. I’ve thought about investing in a quality TV for a while, but I’ve never managed make the commitment real. To be honest, I don’t think this favourite is strictly kept for the weekend. I find myself sliding into the world of online retail all the time, and there’s a whole folder of apps on my phone that prove it! Brands often do send out discount codes on weekends though, especially long weekends and holidays (especially ASOS), so I look out for these and place big orders when they’re active. I often forget when I’ve placed an order though, so it’s always a surprise when they arrive – and there’s always so much more than I remember ordering! 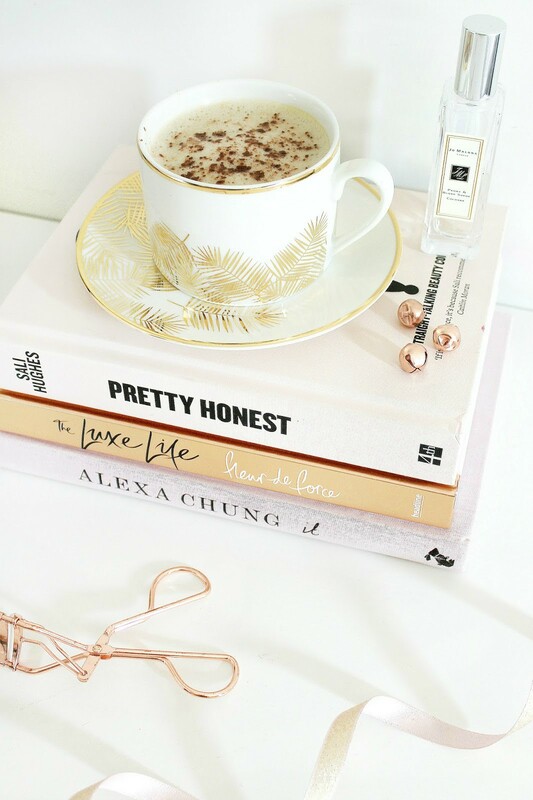 Of course, blogging is a huge part of my life and I love interacting with lots of wonderful bloggers and their beautiful blogs! The weekend is the best time for me to catch up on any posts and comment on my favourite ones. I also love to organize my own blog posts and make sure I have ideas scheduled to go up throughout the week. YouTube is something I also occasionally dip into and watch – all at the weekend too. The weather hasn’t been all that beautiful lately, but the few days of sunshine that we did have were spent lazing on the grass outside. The flowers are in full bloom outside – there’s a whole bunch of huge magenta peonies growing and it would be such a shame not to enjoy them whilst they’re looking their best. Taking a cool drink and a good book to enjoy in the sunshine is definitely something I want to do more of before I move next month! What are your favourite ways to spend a lazy weekend? Previous Post How I Plan Content For My Blog. Next Post A Brighter, Whiter Smile.